One of the most highly anticipated albums of recent years is Chvrches’ The Bones Of What You Believe. What makes the rise and rise of Chvrches so remarkable, is Chvrches were founded just two years ago in 2011. Everything has happened so quickly for Lauren Mayberry, Ian Cook and Martin Doherty. They’ve spent the last two years touring the world converting people to their unique brand of shimmering electro-pop. Britain, Europe, Canada and America gave been conquered by Chvrches. Somehow, Chvrches have also found the time to release a four singles and a trio of E.Ps. 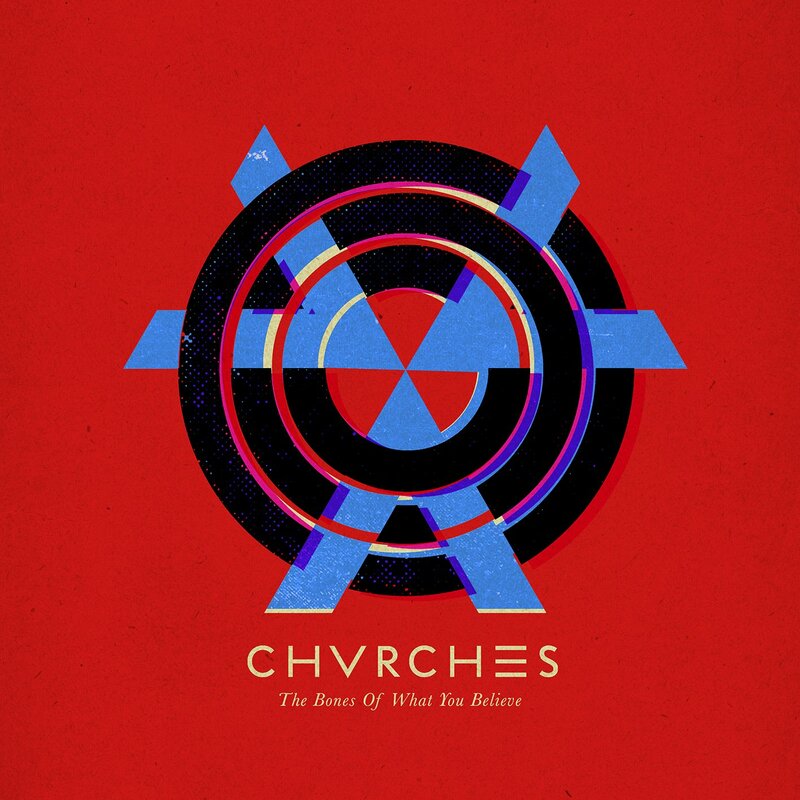 These singles are a tantalizing taste of the main event, Chvrches highly anticipated debut album The Bones Of What You Believe, which was released on the 23rd September 2013 on Virgin. The face and voice of Chvrches, lead vocalist and keyboard player, Lauren Mayberry is an accidental pop star. Originally, she studied law and after graduating, studied journalism. With a Masters in journalism on her C.V. Lauren became an award-winning freelance journalist. From there, she almost inadvertently, became a musician. Recently, on a coast to coast tour of America, Churches have been winning friends and influencing American musical lovers. This is perfect timing. After all, Chvrches’ debut album The Bones Of What You Believe, was due for released on the 23rd September 2013 on Virgin. Written by the three members of Chvrches, The Bones Of What You Believe is without doubt, one of the most eagerly awaited and anticipated albums of recent years. It’s bound to reach the upper reaches of the charts on both sides of the Atlantic. I’ll tell you why, after I’ve told you about The Bones Of What You Believe. Chvrches have restored my faith in modern music. I’m pleased that still, there are agroup capable of making the perfect pop song. That’s what The Bones Of What You Believe is. It’s a reminder of what a classic pop song sounds like. For everyone who says pop music is dead, play them The Bones Of What You Believe. That’ll prove them wrong. Pop music is alive and kicking, and Chvrches’ debut album The Bones Of What You Believe is the future and salvation of pop music.Standout Tracks: The Mother We Share, Gun, Recover and The Throat. ← VERNON BURCH-WHEN I GET BACK HOME.